Magazine holders and paper towel holders are great organizers. Give yourself a place to sit and extra storage. 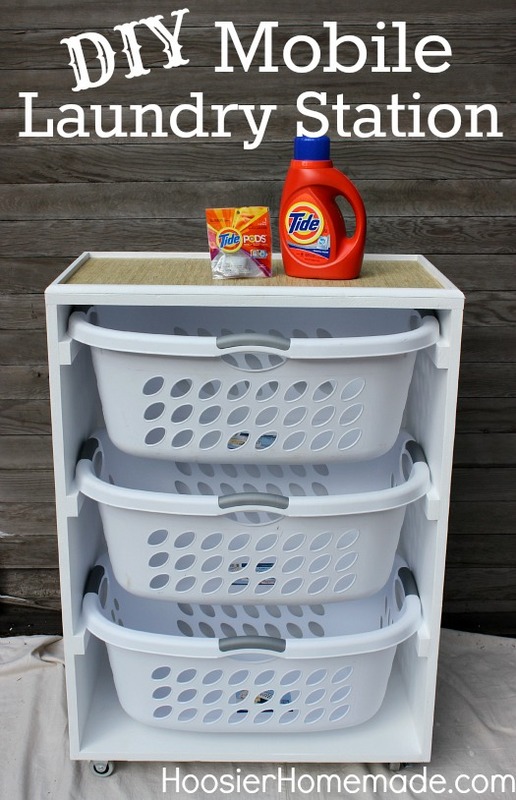 Keep laundry organized and ready to go. 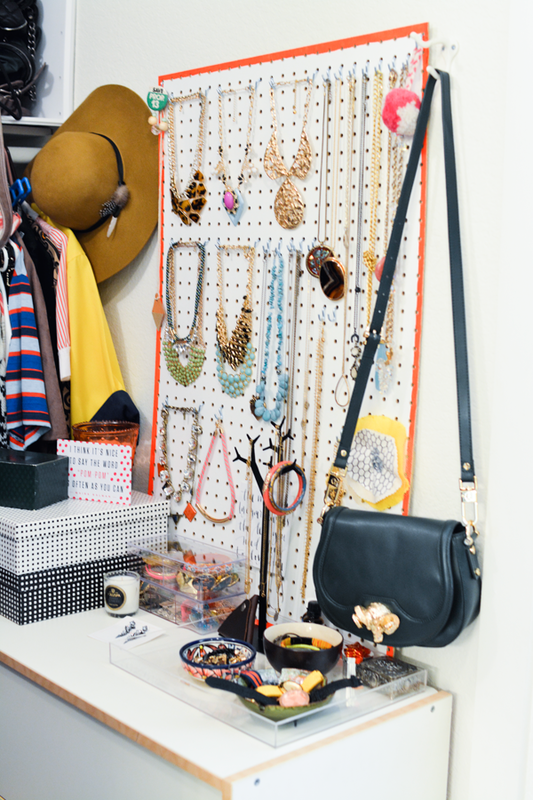 Get clothes set for the week with hanging tags. 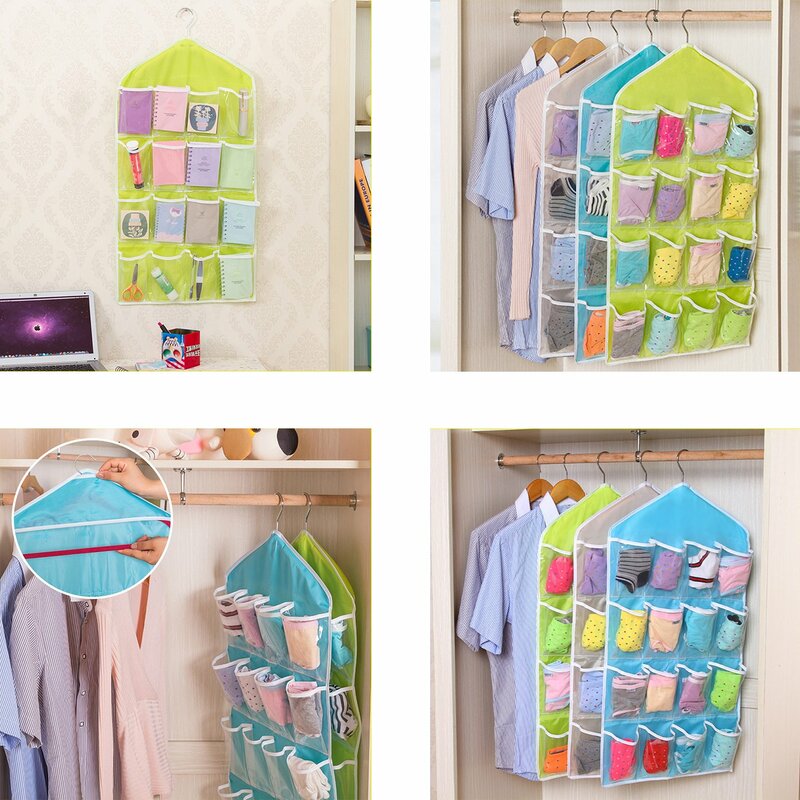 Hanging shoe racks make use of vertical storage. Keep hair tools and makeup brushes neat and tidy. Drawers under hanging clothes make good use of tight space.